The Fall 2015 Origins Field School is now more than halfway through! 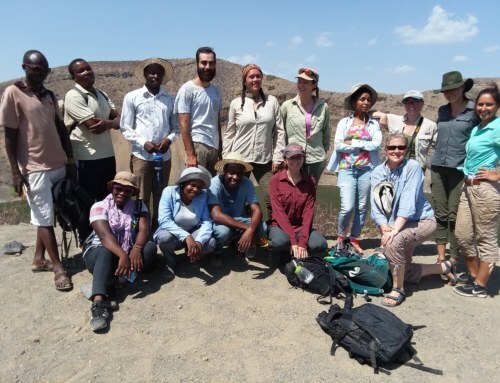 We are currently in our fourth module Human Origins and our last module at TBI Ileret facilities (we will spend another 2 weeks at the Turkwel field station). Starting this week, students are going to learn how we are different from our ape-like ancestors and how we have become who we are. 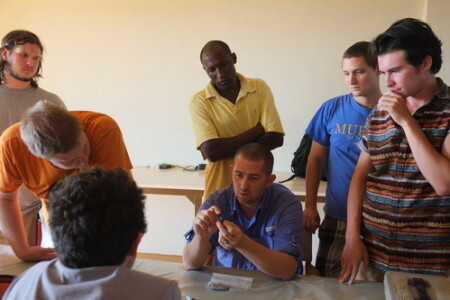 Our instructor of this module is Dr. Jason Lewis currently working at both TBI and Stony Brook University. 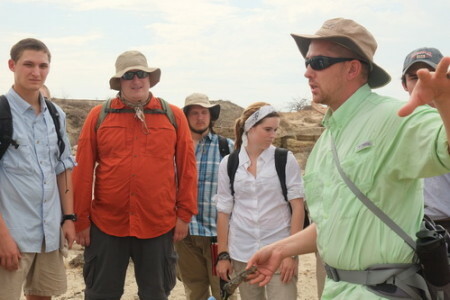 Dr. Lewis has been working in the Turkana Basin for several years and has taught the Human Origins module several times. 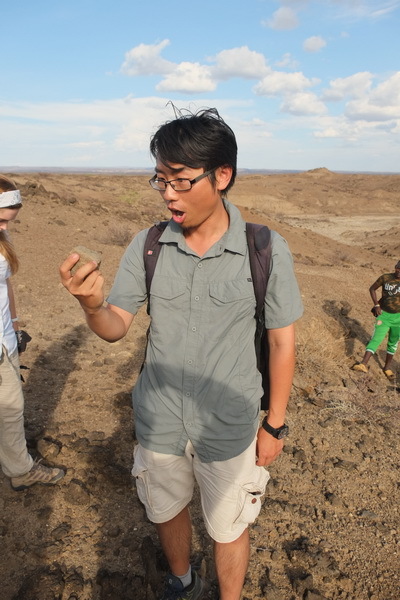 He is also the co-director of the West Turkana Archaeological Project (WTAP). 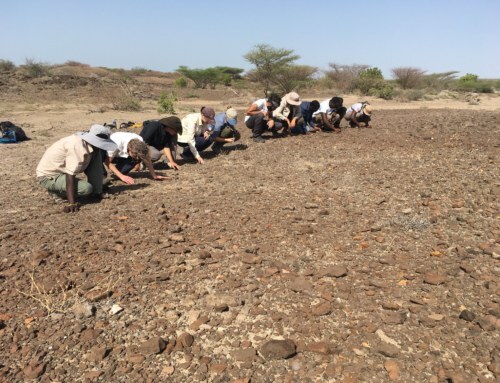 Dr. Lewis and collaborators of WTAP announced the discovery of the earliest known stone tools about 3.3 million years ago. 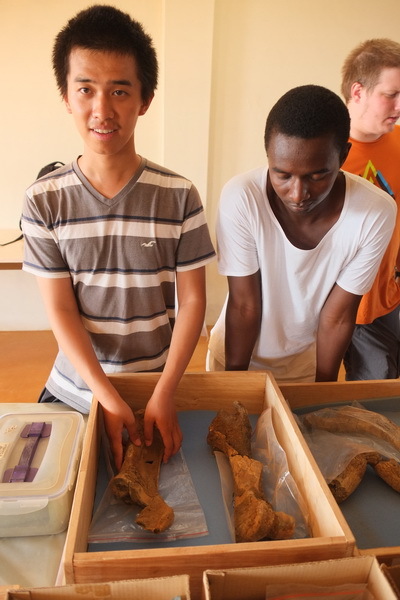 After learning primate evolution from our previous module, students came to realize that we humans are very different compared to other mammals. We walk on two legs instead of four. We have a ginormous head that houses a very demanding brain which needs to be fueled all the time. We live in social groups of often an astronomical number of individuals, which requires sophisticated languages to organize. 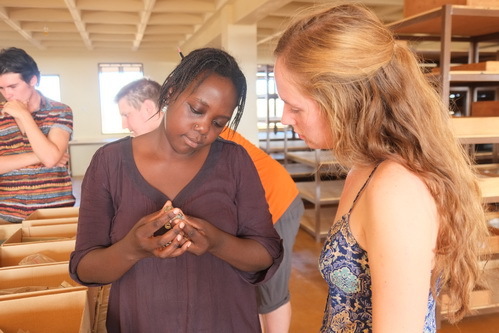 Instead of adapting ourselves to the environment, we change the environment to meet our own needs. Where is the root of all these unique human features? Genomic studies tell us that our closest living relatives today are common chimpanzees, which means at one point of our evolutionary history, we shared a common ancestor with the chimps. What did this common ancestor look like? This is a big question of which every paleoanthropologist wants to know the answer. The fossil evidence tell us that early humans (or hominins as we call them) started with walking on two legs, or bipedal locomotion. 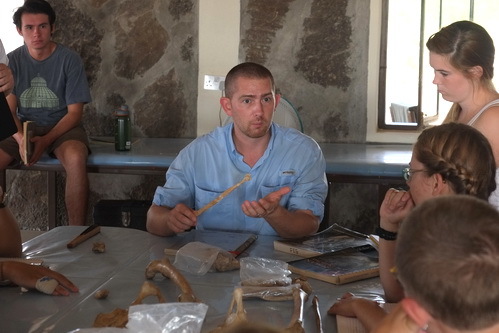 In the classroom, we learned about some of the earliest bipedal hominins found in Africa, such as Sahelanthropus, Orrorin and Ardipithecus. In the lab, we learned about what is unique about the human bipedal locomotion by looking at our skeletal anatomy. One of the most important feature is that we have valgus knees, which allow us to bring our center of mass closer to our supporting foot when we are walking. The reorganization of our hip bone and hip muscles also help us to keep an upright posture and to balance the trunk during bipedal walking. 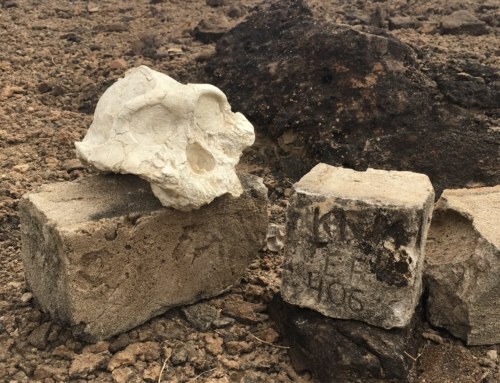 Some of these features can be found in early hominins as well. They were probably not as good as we are being bipeds, but they made some of the most important steps towards humanity. 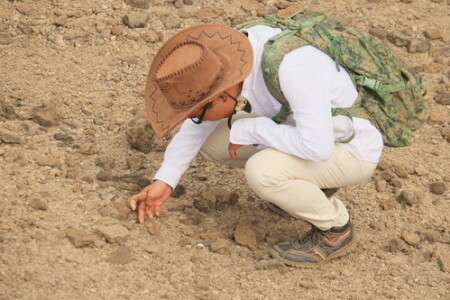 Now that our students are very comfortable with telling fossils from rocks in the field, we still need to learn what is out there in the Pleistocene when most animal communities were so different from those at Buluk. 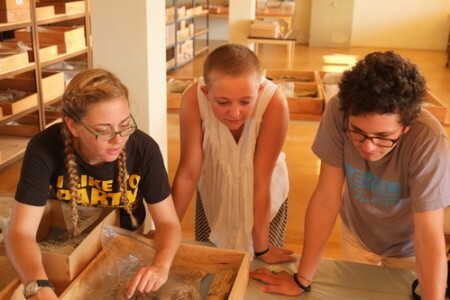 To prepare for a field trip to the Pleistocene deposits, we take another tour in the research lab to see what animals we can expect from the field. 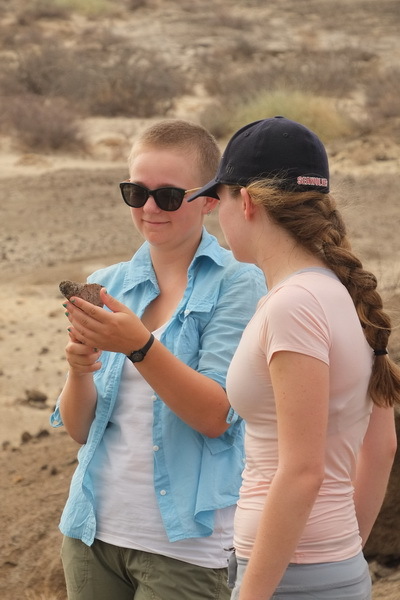 Students had a first-hand experience with fossils collected from Area 105, where we visited during the geology module. 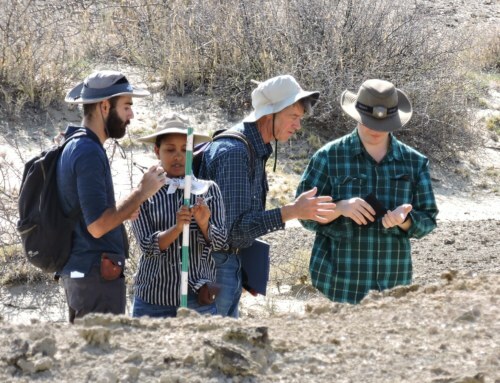 Dr. Lewis led the exercise of fossil identification where students carefully examined and discussed what features they could see from fossil fragments. 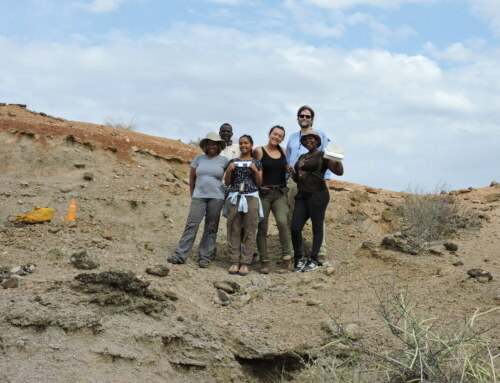 The next day, we visited Area 8 where early Homo fossils were found several years ago. Students had a good time prospecting for fossils at the exposures! Take a look at the photos from the field! 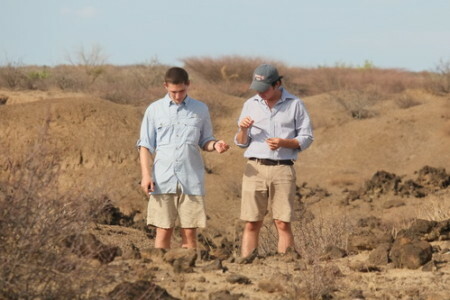 We have been lucky to have cloudy days during our fieldwork! 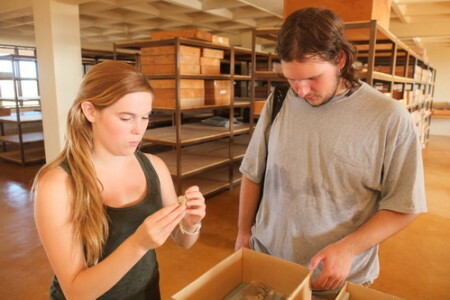 More to come for our visits to the hominin bearing sites at Ileret!